I have just three points to make about investing books. First, don’t expect an investing book to change your work life or your investing life. You got to be the investor you are through a lifetime of experience, and if one book can really change your fundamental approach, maybe you’re not ready for the character testing that the market administers. Second, Carlton Lutts, the founder of our company, used to say that all you need to get from an investing book to make it worth the reading is one good idea. Cabot is headquartered in a decommissioned branch library, and the wall next to where I sit is lined with investment books, some of them dating back to the 1920s. If you’re serious about becoming a better investor, you should be doing your homework, hoping that every book you read delivers that one good idea. Third, sometimes what these investing books are selling is hope. Investing is a tough business, and the market has no qualms at all about grinding your best stocks into dust. An investing book that gives you renewed confidence and allows you to stay in the game may just have done its job. We have a wonderful library of investment books here in the Cabot offices and refer to them very often in our advisories. Here are some of our favorites. One of the most highly regarded independent investment research firms, Ned Davis Research, shares not only its views on grave near-term economic risks and how the investment world works, but more importantly, it provides the tools, tactics and strategies necessary for managing risks and making money. A Phi Beta Kappa graduate of the University of North Carolina at Chapel Hill, who attended the Harvard Graduate School of Business, Ned Davis has been professionally involved in the stock market since 1966. Published in 2003, 108 years after LeBon’s seminal work, this is an easy read, full of modern references, charts and tables, and aimed directly at the moderately experienced investor who needs a little more guidance in learning to separate his own thoughts from those of the masses. Independent thinking is critical for successful investing, and this book will help you develop your own. 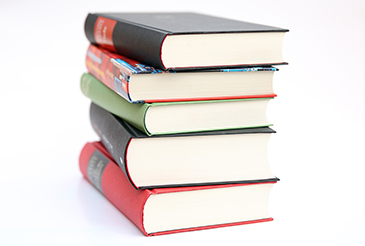 Jim Cramer has a few recent books that I’ve perused … and am not that impressed with. This book, however, was his first, written years before he became a TV personality. It’s basically about his life as a hedge fund manager; there is a three-chapter section about his dealings during the 1998 financial crisis (Russian ruble, Long Term Capital Management, etc.) and bear market that might be the best three chapters I’ve ever read. Hedgehogging is a book by Barton Biggs, a Morgan Stanley veteran who teamed up with a couple of others to start his own hedge fund back in 2003. Much of the book is indeed about his journey to starting a hedge fund, but really, to me, the first 100 pages or more were a bunch of two to four page short investment stories that related to people he knew in the business. To me, this is the best kind of investment book because you can often glean many lessons and insights from reading about others’ investment troubles (and successes). Nicolas Darvas is a champion ballroom dancer who decides to get into the market. He develops his own system for growth investing and fine-tunes it to achieve the result in the title. It’s a fun read, full of his personality and with enough reversals, eccentricities and breakthroughs to keep you interested while you’re learning more than you realize about technical analysis and portfolio management. It’s a great story. In the book, How I Made $2,000,000 in the Stock Market, by Nicolas Darvas, the author details how he made $2 million in the stock market. Frequently on the road, Darvas would have Barron’s shipped to him to see how various stocks had acted the previous week. Instead of reading through all the articles and opinions, he would simply throw everything away except for the quotes section. This way he could see what was happening in the market and make judgments without being influenced by news of the week. And it worked wonders! Our advice: Take a step back from the day-to-day news and gyrations. Instead, keep focused on the big picture. Yes, it’s fun and exciting to watch things unfold minute by minute. But we contend you’ll make more money by ignoring the loudmouths on TV and just staying focused on the major trends. 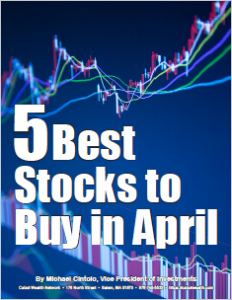 This bestselling guide to buying stocks provides readers with the first in-depth explanation of William O’Neil’s innovative CAN SLIM investing method. O’Neil, the founder of Investor’s Business Daily, later revised his classic text and provided readers with a newer glimpse on how the average investor can make money in the equities market. 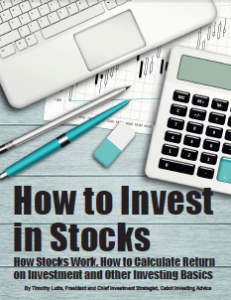 How to Make Money in Stocks is a great reference for the individual investor on how to stay afloat, and ahead, in the fluctuating equities markets of the 21st century. In his 1940 book, How to Trade in Stocks, Jesse L. Livermore gives step-by-step guidance on reading market and stock behaviors, analyzing market sectors, market timing, money management and emotional control. Livermore, an investing legend, said there are just a handful of times each year when he would be active—near the intermediate-term turning points in the market. Other than that, he let his account his idle, making sure he didn’t lose money, and preparing for the big swing when the market changed course. Inside the Investor’s Brain provides investors with the tools they need to understand how emotions and mental biases affect the way they react to market movements and manage money. Richard Peterson provides readers with techniques for understanding their financial psychology, so that they can improve their performance. Inside the Investor’s Brain discusses many mental traps and how they play a role in investing. This book contains descriptions of the work of neuroscientists, financial practitioners and psychologists, offering an expert’s view into the mind of the market. James DePorre lost his hearing, career and marriage in the early 1990s, and turned to online investing. His book details his investment strategy for average, individual investors. DePorre explains his theory that small investors can beat the Whales of Wall Street by using speed and flexibility to their advantage. DePorre encourages investors to use their small size, quickness and aggressiveness to beat to outmaneuver investing giants. The second in a three-book series in which Jack Schwager interviews top traders and investors, looking for insights. All of the books are highly recommended, and each is available cheaply in paperback. This book, originally published in the early 1990s, contains an interview with William Eckhardt, who was actually a mathematician. The interview touches on the personal side of investing and getting in tune with your own tendencies, which will help you make more money. The book contains many more helpful interviews and points. In One Up on Wall Street, Peter Lynch writes about his theory that average investors can become experts in their field and pick winning stocks as well as Wall Street professionals just by doing some research. The author writes that there are many investment opportunities for the average investor that can be found by observing business developments and taking notice of what’s going on in the world. Lynch writes that investors will be rewarded in the long run if they ignore the fluctuations of the market and speculation about interest rates. If you consider yourself a student of the market, there is no better book than “Reminiscences of a Stock Operator.” This conversational biography of the exploits of Jesse Livermore contains more market lessons than any “how to” book available today … or ever. Divided into reasonably sized chapters, the book allows you to follow one of Wall Street’s all-time great speculators through his winnings and his many mistakes. I’ve read it many times and plan on another re-read this summer! When the Cabot editors get asked for their favorite investment books, there are always a few titles that come up over and over again, and one of the most consistent is “Reminiscences of a Stock Operator” by Edwin Lefevre. First published in 1923, the book is a fictionalized biography of legendary trader Jesse Livermore. Livermore was born in 1877, and began his career as a ticker boy in the bucket shops (businesses that took bets on stock prices, but didn’t actually buy or sell stocks) around Boston. With a true knack for remembering and making sense of stock prices, Livermore built a small stake and eventually moved to New York when the bucket shops stopped taking his business because he won too often. I don’t want to summarize his whole life, but suffice it to say that he made and lost at least two major fortunes and ended his own life in 1940. Still, his net worth when he died was over $5 million, so he didn’t do too badly. Traders love the book for its insight into Livermore’s methods, but also for the drama of listening to a man narrating his own learning process. Like many legendary investors, Livermore both prospered and crashed in big ways, and when he crashed it was frequently because he strayed from his own principles. One of his biggest busts came in a speculation on cotton, when he followed up a loss with further investments. By selling his winners he was able to hold up the price of cotton by himself, at least for a while. But when he ran out of capital, cotton plunged and he was essentially busted. If there was ever an illustration of the principle that You Should Cut Your Losses Short, there it is. For beginners in investing, “Reminiscences of a Stock Operator” is a very lively read and a tale of high-rolling speculation during some enormous market convulsions. The lessons the book teaches are just a bonus. Benjamin Graham’s classic book, Security Analysis, laid the framework for the value investing system. Individuals and Wall Street professionals consider the timeless book, published in 1934, an investing bible. Security Analysis thoroughly explains Graham’s value investing methods, including how to value stocks, the margin of safety and guidelines for successful investing. If you’re just beginning in the world of chart reading, this is a good guide. We don’t subscribe to all of the patterns he talks about, but it’s still a great place to start. In The Battle for Investment Survival, the turf is Wall Street, the goal is to preserve your capital at all costs, and to win is to “make a killing without being killed.” This memorable classic, originally written in 1935, offers a fresh perspective on investing from times past. The Battle for Investment Survival treats investors to a straightforward account of how to profit—and how to avoid profit loss—in what Loeb would describe as the constant tug-of-war between rising and falling markets. Gerald M. Loeb worked on Wall Street as a stockbroker for 40 years, beginning in the late 1920s. He was also a financial writer whose articles were published in Barron’s, Wall Street Today and Investor Magazine. Gustave LeBon was a French psychologist/sociologist and this book, written in 1895 and translated into English a year later, is a classic today, well worth reading for the serious student of any social science. Beware, though, that the book is not about investing; instead, it’s about the psychology of crowds, by the pioneer in the field. To my mind, though, an understanding of the average man, and the crowd that he is part of, is a great advantage on Wall Street. Substantially more accessible than “The Crowd,” and aimed at serious investors, is Beware the Crowd at Extremes by Ned Davis. for the Classic Benjamin Graham Model found in the Cabot Benjamin Graham Value Letter. This book is a follow-up to author Brad Koteshwar’s first book (called “The Perfect Stock,” which was actually about TASER). It basically involves Koteshwar’s interactions with a fellow named Boyd Hunt–honestly, I’m not sure if this is a real person–and Hunt’s lessons of how he got rich in the stock market. I wouldn’t say it’s the easiest read out there, but it has many great tools to add to your arsenal. This book is more of an instruction manual, which makes it longer to read (and hence, not be the best for a beach trip). But if you read it, you’ll find most of the same principles Cabot’s growth publications adhere to. “We’re going to raise traders just like they raise turtles in Singapore,” trading guru Richard Dennis reportedly said to his longtime friend William Eckhardt years ago. What started as a bet about whether great traders were born or made became a legendary trading experiment that, until now, has never been told in its entirety. Way of the Turtle reveals, for the first time, the reasons for the success of the secretive trading system used by the group known as the “Turtles.” Top-earning Turtle Curtis Faith lays bare the entire experiment, explaining how it was possible for Dennis and Eckhardt to recruit 23 ordinary people from all walks of life and train them to be extraordinary traders in just two weeks. Only 19 years old at the time—the youngest Turtle by far—Faith traded the largest account, making more than $30 million in just more than four years. He takes you behind the scenes of the Turtle selection process and behind closed doors where the Turtles learned the lucrative trading strategies that enabled them to earn an average return of more than 80 percent per year and profits of more than $100 million. Offering his unique perspective on the experience, Faith explains why the Turtle Wayworks in modern markets, and shares hard-earned wisdom on taking risks, choosing your own path and learning from your mistakes. 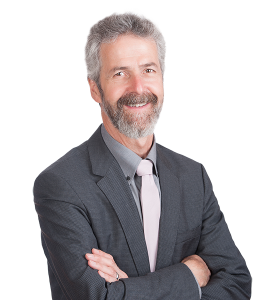 Financial adviser Martin Zweig has been fascinated by the stock market since childhood, especially the buying and selling of stocks to make money. The book contains a clear and detailed analysis of market trends, interest rates, Federal Reserve policy, debt volume and market momentum, among other things, that carries the technical side of stock market theory about as far as it can go. In the book, Zweig calls Jesse L. Livermore on of his heroes and recommends the 1923 book,Reminiscences of a Stock Operator by Edwin Lefevre. Do you have any favorite investing books? Please share them below, in the comments.